In this edition of Business Week in Review with Jeff Beauprez, Angela Jones, Managing Partner of Sanders Law Firm; sneaky phone apps that share your private information, Business and Cyber Bytes, and more! 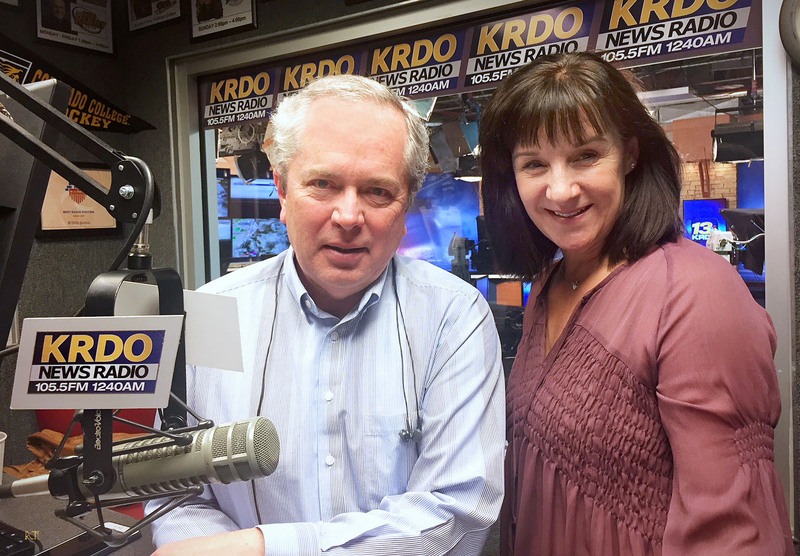 Business Radio for the Business Minded, Friday mornings live at 9:00 MDT, 16 hours UTC, on flagship KRDO Newsradio, part of the KRDO Network. Listen live at KRDO.com. 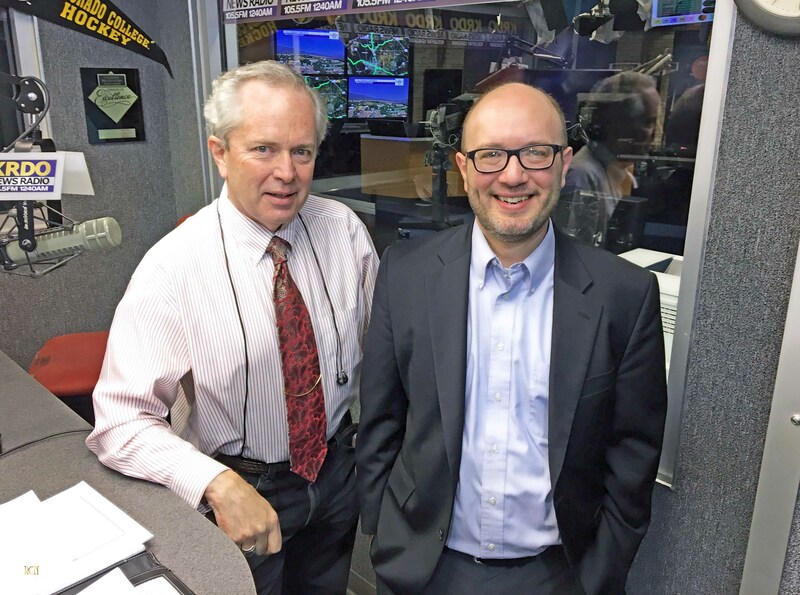 This week on Business Week in Review with Jeff Beauprez, Dave Jeffrey of the Colorado Advanced Manufacturing Association on the manufacturing economy in the Pikes Peak region. In Cyber Bytes, yet another hack-vulnerable device arrives at the top of the "don't buy it" junk pile of the internet of things. Jeff has Business Bytes, business news and updates as well. In this edition of Business Week in Review with Jeff Beauprez ஃ, Robin Roberts, CRC, President and CEO of Pikes Peak National Bank, and Rob Slee, billionaire, author, speaker and serial entrepreneur to continue their series on business planning for 2019 and beyond. Jeff has Cyber and Business Bytes as well. Business planning and preparedness are central to this edition of Business Week in Review with Jeff Beauprez. Join Jeff and El Paso County Medical Society's, Mike Ware, as they offer guidance and advice to keep your business secure and going in 2019 and beyond! Business planning and preparedness are central to this edition of Business Week in Review with Jeff Beauprez. Join Jeff and guests as they offer guidance and advice to keep your business secure and going in 2019 and beyond! In this edition of Business Week in Review with Jeff Beauprez and co-host, Robin Roberts, President and CEO of Pikes Peak National Bank: the business outlook for 2019; preparing for what could be an economic downturn; best advertising practices in a changing economy; business and tech bytes, and more. 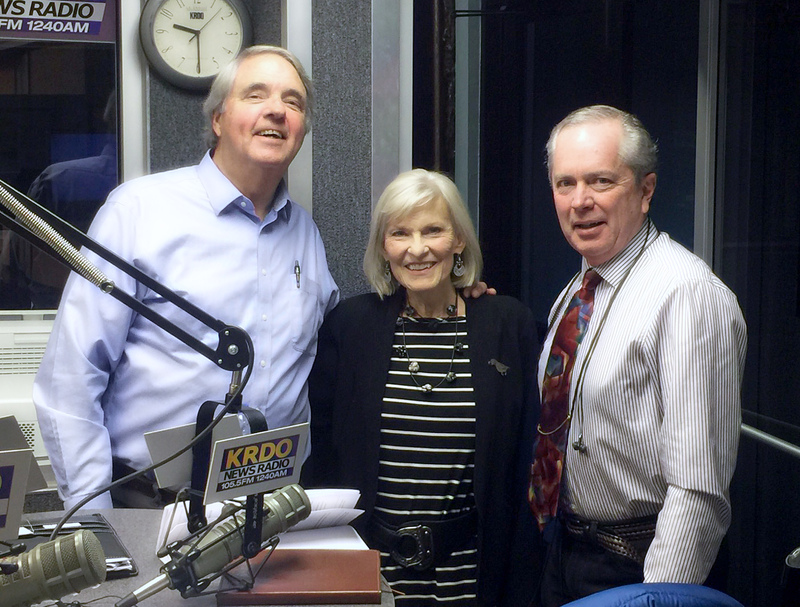 In this edition of Business Week in Review with Jeff Beauprez, Patty Jakos, owner of high-end audio equipment institution, the Sound Shop, and KRDO GM, Mark Pimentel, visit with Jeff to talk about pivoting in business, the state of the media and a KRDO update. Jeff has Business and Cyber Bytes as well! This week on Business Week in Review with Jeff Beauprez, features Greg Budwine, owner of Ledom's Performance Equipment and Diesel Repair to discuss his merging of two businesses and consolidation of operations. The objective is to set Ledom's up to become more efficient and profitable while positioning the company to grow and expand. Jeff will also have Business and Cyber Bytes as well. In this edition of Business Week in Review with Jeff Beauprez ஃ, Jan Erickson, founder and owner of global clothing company, Janska, to continue Jeff's series on the successful transformation of brands in the interest of growth, expansion, sustainability and changing times. In Janska's case, Jan is taking company company back to the future. Jeff's got Tech and Business Bytes this week and will introduce a coming new production of Business Week in Review, Tech-Connect where he will showcase tech-based businesses, their products. services and news. This week on Business Week in Review with Jeff Beauprez, of little chips and big problems; Jim Bearce from WalMart and Joe Parrino with T5 Data Centers, join Jeff to comment on that, local business and business continuity; Cyber Podcaster, Chris Goreg joins in; the Windows 10 update is STILL not ready for prime time; Business and Cyber Bytes as well and more! This edition of Business Week in Review with Jeff Beauprez ஃ, hidden chips on motherboards might be tiny but the argument heating up over who knew what and when is big, has people pointing fingers and the fuss is just getting started; El Paso County Clerk and Recorder, Chuck Broerman on voter turnout as that affects business; DO NOT update your Windows 10 OS; CTUs Chris Goreg, cyber podcaster joins the discussion; Business and Cyber Bytes coming your way too! Then, the internet of things has produced what the inventor thinks is a better mouse trap. It sends a signal to your smart phone when it has killed a mouse. Is it secure? Tech and Business Bites are in the offing as well. This edition of Business Week in Review with Jeff Beauprez: to cloud or not to cloud... with recent breaches is the cloud secure? Russ Rogers, Chief Researcher for Microsoft, joins Jeff to talk about that and how to set your company up properly. Byron McCurdy is in to talk about HR and issues companies face and must deal with. Tech and Business Bites are also in the offing. In this edition of Business Week in Review, Greg Snyder (A-Team marketing leader) discusses strategy, research and messaging for strong/week economies. We'll also cover the explosion in eMail payment fraud this past quarter. $600M nationally and $400K locally and that's only what my group is aware of... join us for all the hot topics! In this edition of Business Week in Review with Jeff Beauprez, along with Business and Cyber Bites, Leisle Chung, owner of Vanguard Skin Specialists joins Jeff to talk about her business from ground up to growth, expansion and success all on a philosopy you can apply. She has a compelling story to share.